How often have you heard stories about students who earned “A”s in high school only to go on and drop out of college because they lacked the motivation or grit to persist? Such anecdotes underscore why it’s so important for people to develop both academic and nonacademic knowledge and skills to be successful in school and work. 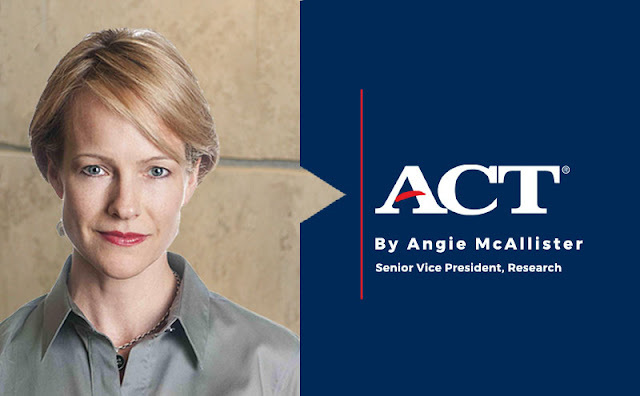 At ACT, we take a holistic view of individuals. We have developed a framework of holistic skills, based on nearly 60 years of research, so that schools, districts, states and employers will have a more complete description of the factors essential to an individual’s readiness for college and career. We are offering the ACT Holistic Framework free to educational institutions so they can align to it and develop a standardized approach, connecting learning and assessment, in order to personalize education. Core academic skills in the areas of literacy and language arts, mathematics and science, which are mapped to learning progressions from kindergarten to career. Cross-cutting capabilities facilitate performance across different content areas, such as critical thinking, studying and learning, collaborative problem solving, and information and technology skills. Behavioral skills—such as acting honestly, getting along with others, maintaining composure and sustaining effort—impact success in both school and the workforce. Education and career navigation skills influence individuals as they progress on their educational and career paths, such as making informed, personally relevant decisions and developing actionable, achievable plans. For teachers and employers, the framework identifies skills needed at various stages from kindergarten to career to assist students or employees who may need additional support or development. Students and employees can use the framework as a developmental guide as they seek to gain the skills and knowledge needed to achieve their own personal goals. Think of the ACT Holistic Framework as a personalized navigation system. If you haven’t been somewhere before and don’t know exactly how to get there, a GPS can sure come in handy. But if you and I are going to different places—and maybe even starting out at a different point—the directions we receive will be entirely different. The framework can provide individualized direction for students starting at different places—and going different directions—on their college and career readiness path. There are many factors that can shorten, extend, or totally derail one’s journey to college and career readiness. Students are exploring different colleges, majors, and careers which require different profiles of knowledge and skills. Becoming a successful dentist requires a different set of skills than becoming a brilliant software engineer. The ACT Holistic Framework provides information helpful to assessing the likelihood of individuals reaching their personal goals given where they are right now while identifying potential areas for improvement. Finally, some individuals simply don’t know where they are heading. In those cases, the ACT Holistic Framework can identify career pathways that are a good fit based on their unique profile of knowledge and skills. Ultimately, the ACT Holistic Framework offers the ability to help prepare and support individuals as they transition from education to a fulfilling career—no matter what path they choose.